The Midland Valley Trail cuts more than 3 miles across neighborhoods adjacent to downtown Tulsa on an abandoned Midland Valley Railroad corridor. Highlights along the trail include Maple Park and Centennial Park, the latter of which features a pond with an encircling walking trail. At the trail’s southern end, a converted railroad trestle over the Arkansas River connects trail users with nearly 20 miles of paved trails—the Riverparks East Bank Trail and Riverparks West Bank Trail—along the river. 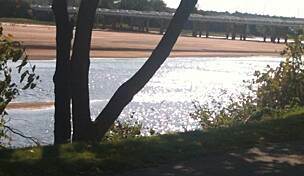 This trailhead is considered one of the best striped bass and catfish fishing areas in Tulsa. 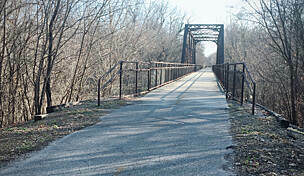 In the north, cyclists can take 3rd Street and Archer Street to reach the Osage Prairie Trail and KATY Trail. In 2012, the Midland Valley Trail was improved with a new rest area, drinking fountain, lighting, signage and trash receptacles. The trail was also widened and paved with concrete, trees were planted, and a new pedestrian crossing signal was installed to help trail users cross 21st Street. Ample parking for the Midland Valley Trail is available at the southern trailhead at 31st Street and Riverside Drive. Additional parking can be found at Centennial Park on S. Peoria Avenue. 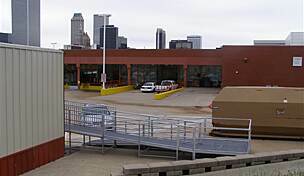 "Construction is set to begin to extend the existing trail approximately 2 miles to downtown Tulsa and connecting to the on street bike system. 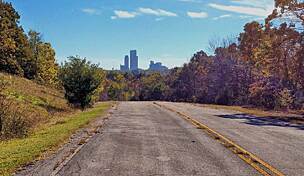 Additionally, the Osage Prairie Trail extends north from Downtown Tulsa 17 miles to Skiatook, OK. 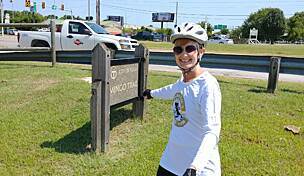 This trail is also built on the former Midland Valley RR ROW." "I just wanted to add to the review with the picture of the Pedestrian Bridge. 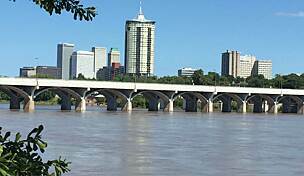 Although the bridge is currently being restored, the trail that crosses the bridge DOES connect to equally beautiful trails on the west side of the Arkansas River. 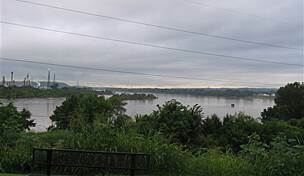 From there, you can journey north or south along the river for quite a number of miles, returning on a selection of several other bridges with safely walled-off areas for pedestrians or bikers. 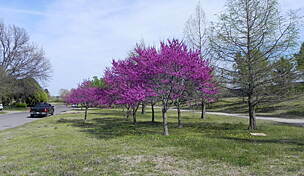 These trails are maintained by Tulsa Parks Department and are always in excellent condition!" "March this year was unusually warm, and trees and bushes were blooming early. The Arkansas River was running high from late winter snows in Colorado. 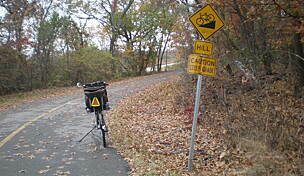 The trail's asphalt surface was dry, flat and friendly. This is an ideal path through a beautiful residential area of Tulsa. 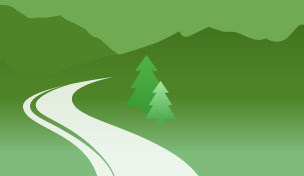 I would recommend it to hikers and bikers of all ages (including kids in strollers). I've included some of the photos I took on my walk."